Toyota Managing Officer Tatsuro Ueda: “It is impossible to accept this as it is. It is a higher-level proposal than we expected." (Bloomberg) -- Toyota Motor Corp. rebuffed the largest wage increase proposal from its union since 1998, saying the raise would lift costs by about 20 billion yen ($168 million). The Toyota Motor Workers’ Union earlier this month proposed a 6,000 yen ($50) monthly wage increase for the fiscal year beginning in April, a raise of about 1.7 percent. Prime Minister Shinzo Abe is prodding Japan Inc. to boost wages after giving the companies a tailwind with stimulus and monetary easing that weakened the yen. 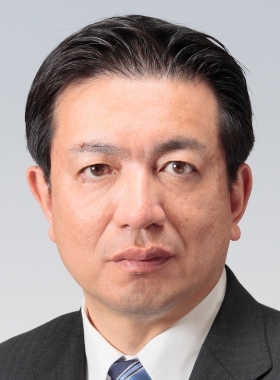 Yasuyuki Takagi, spokesman for Toyota’s union, declined to evaluate the carmaker’s comments today. Abe’s policies have been a boon to exporters led by Toyota, which has forecast a bigger profit than all other Japanese automakers combined for the 12 months ending in March. While workers in Japan saw their first base wage increases in eight years in 2014, rising living costs and a sales-tax increase wiped away those gains when adjusted for inflation. The disparity contributed to Japan slipping into recession last year, its fourth since 2008. The Japanese Trade Union Confederation, the nation’s top labor association, will call for a bump of more than 4 percent in monthly pay, the most in more than two decades, according to Nobuaki Koga, the group’s president. More than 2 percent of the figure will be for base pay, with the remainder linked to seniority or time served at a company, Koga said last week. Toyota’s union has sought bonuses equivalent to 6.8 months of salary and a 7,300 yen average pay increase for seniority or promotions, both unchanged from the year earlier. All 10 other unions representing workers at Japan’s auto companies are also demanding a 6,000 yen monthly raise for the next fiscal year, the Confederation of Japan Automobile Workers’ Unions said last week.